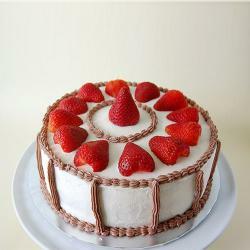 A cake for sure to astonish, impress your someone special with a special mouth watering delicacy. 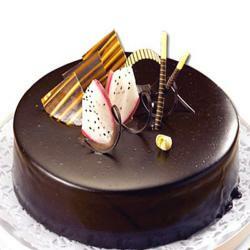 Gift them this delicious Pineapple cake of 500 gms. 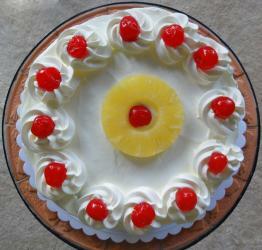 For individuals who loves Pineapple, this 1/2 Kg cake will be a wonderful treat for them. 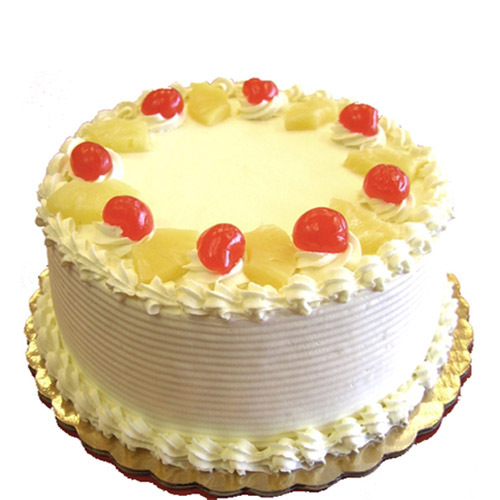 Pineapple essence cake topped with whipped cream, it will certainly bring a smile on your loved ones. 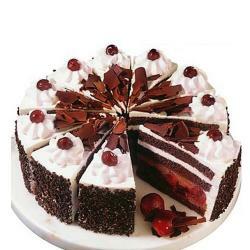 This freshly bakes and mouth watering cake is perfect to celebrate all kinds of special moments. Even we can celebrate special occasion and festival like 1st meeting anniversary, 1st month engagement anniversary, Graduation, Apologies gift, Best friend forever, Valentine Day, Boss Day, Teacher Day, Parents Day, Grandparents Day, festival like Pongal, Ganesh Chaturthi, Easter, Eid Al Adha, Raksha Bandhan, Bhaidooj gift and may more than you likes.